Russian-flagged ship, Gudson, was detained in Mumbai, India, the Russian Embassy in New Delhi tries to de-escalate the situation. MOSCOW (Sputnik) – Russia calls for a speedy release of a Russian-flagged ship detained in India last week in a commercial dispute, the Russian Foreign Ministry said in a statement Thursday. "Active efforts are being made by the Russian Embassy in New Delhi and consulates in Mumbai and Chennai in order to clarify the circumstances and de-escalate the situation. We call on our Indian partners to help in resolving it as soon as possible," the statement reads. The Sevastopol cargo ship, owned by a Vladivostok-based shipping company, Gudson, was detained while leaving the port of Mumbai and has since been held in neutral waters 14 miles off the coast. Local authorities cite an arrest warrant against the vessel issued by the Madras high court on February 13, in a commercial dispute between the ship's owner and the Chennai-based M/s NTC Logistics (P) Ltd.
Damage to cargo and delays in loading are among the company's allegations against the Sevastopol. Media reports suggested that on February 17 the ship made an attempt to escape. 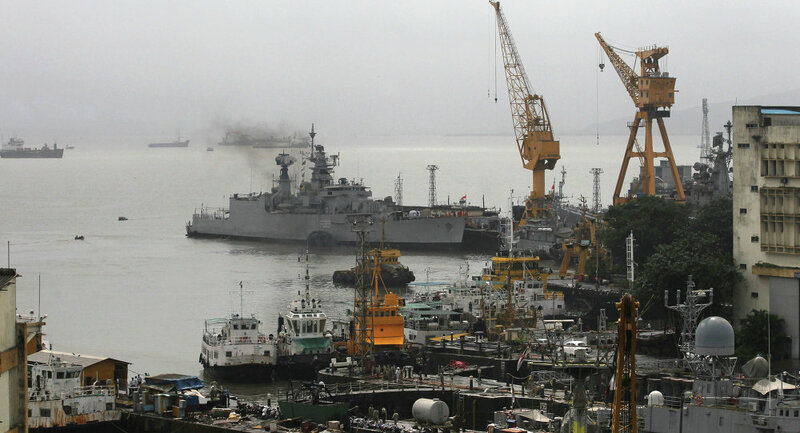 The Indian Coast Guard is said to have intercepted the vessel and directed it back to Mumbai. The ship was instructed not to proceed on its route until the commercial dispute is resolved.